Spacious 5 BR/4 BA open floor plan with level, private yard perfect for outdoor living (.9 acre). Walk out to beautiful screened porch, stone fireplace, custom deck with bench seating, courtyard garden and pergola over hot tub. 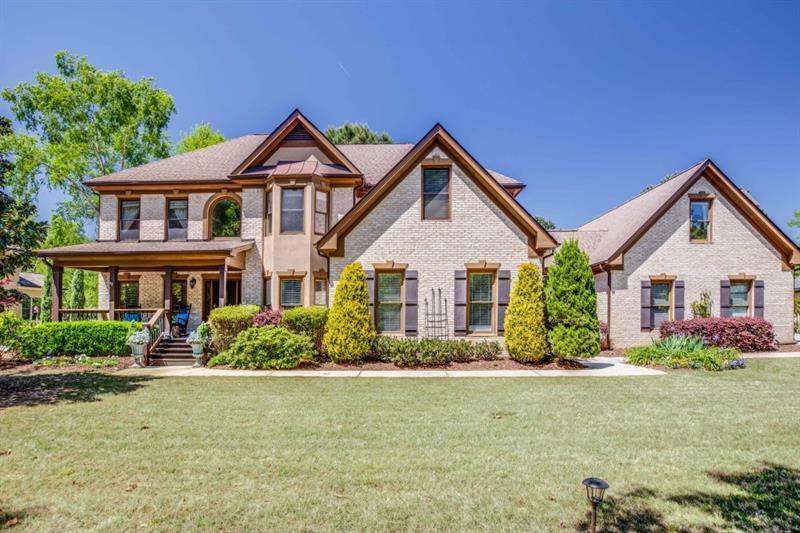 All brick w/ 2 story foyer open to DR, Study, fireside 2 story great room & family room + huge rec/billiard room! Private guest suite with BA above 3 car garage. Chef's kitchen, granite, SS appliances, 2 walk-in pantries, breakfast area. Master suite, large BA, walk-in closet + 3 more BR & 2 BA upstairs. Walk to Spalding Lake Swim/Tennis!